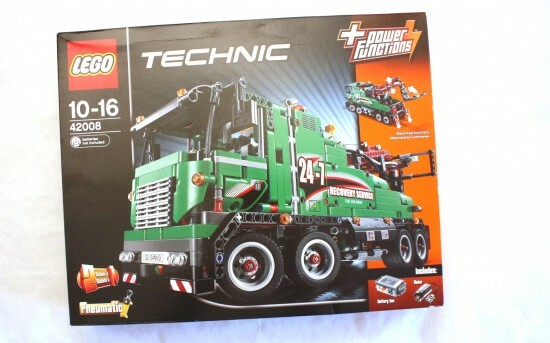 So much time since the last time I bought a Technic set… so last month a had a bit of pocket money left and decided to invest it on the 42008 Service Truck. And I have built it just as soon as it arrived. Let’s review it. 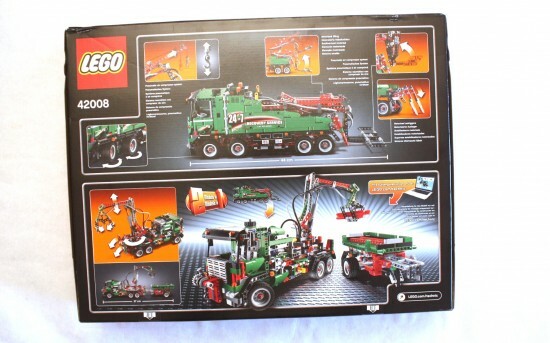 Where can I buy LEGO 42008? This model comes with three manuals. And it has a building time of around 3 hours. It is a nice building experience, you don’t see the final form of the vehicle until the last book but it is pretty straight forward. In this model I think it is very clear the Technic style of building from inside to outside. 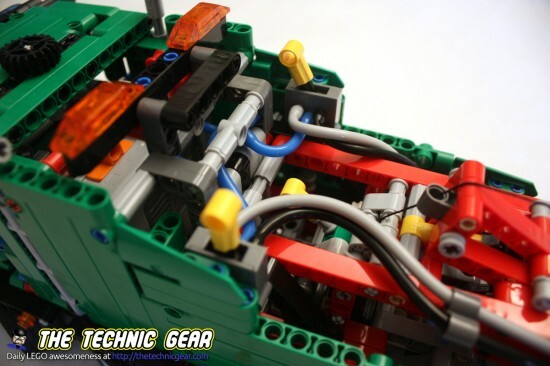 This set comes with a M-Motor and a LEGO Pneumatics which makes it really fun to build. Personally, and after checking the power of the little pump I really don’t understand why LEGO doesn’t create a bigger one or add two of them. 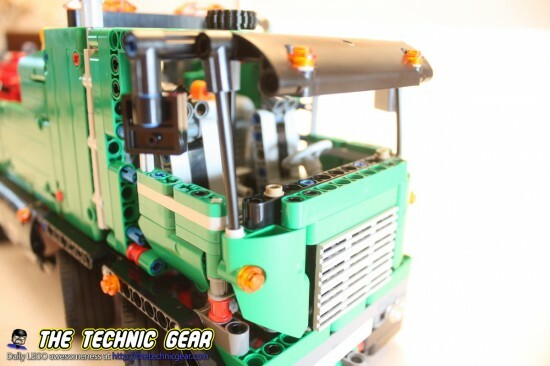 This is the driver cockpit, that as with most LEGO Technic line is represented in a nice way. This is a detail of the pneumatics cables that go from the pump to the pneumatic switches. Really, this vehicle would thank two pumps for operation instead of just one. The vehicle has five different functions. 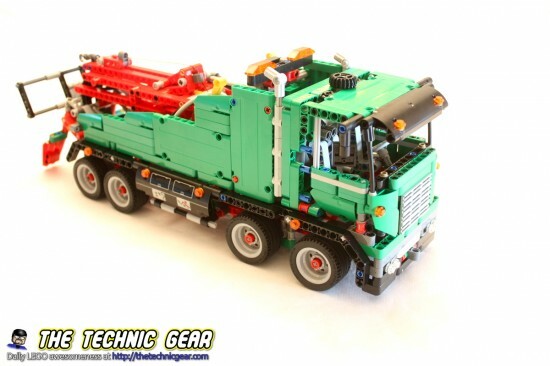 These two parts are operated using two small linear actuators that lower the legs until they touch the ground to so the truck is more stable when operating the crane. This one also works with a linear actuator ( I suppose it is stronger ) to make the Crane arm elevate. This one is interesting. If you realize there is a little yellow part that it is used to operate the crane too. You can’t extend the cable until you raise it, it works pretty much like a brake. Usually this mechanism is built using a worm gear like in the Uminog. 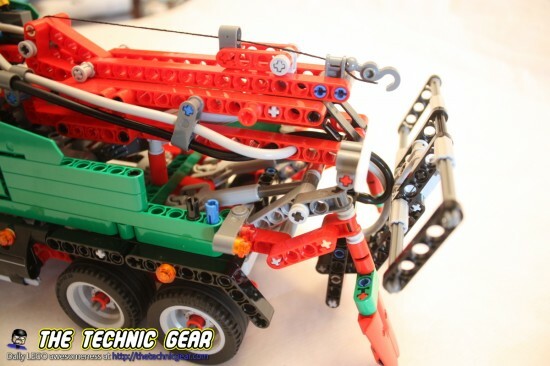 Using pneumatics you can extend the arm of the crane so it is longer and it is clearly outside of the vehicle shape. Using Pneumatics too this part raise or lower this part. – It isn’t madly expensive. – It is big and it is green! And it isn’t Hulk. – Maybe some differentials to build a RC vehicle would have been nice. 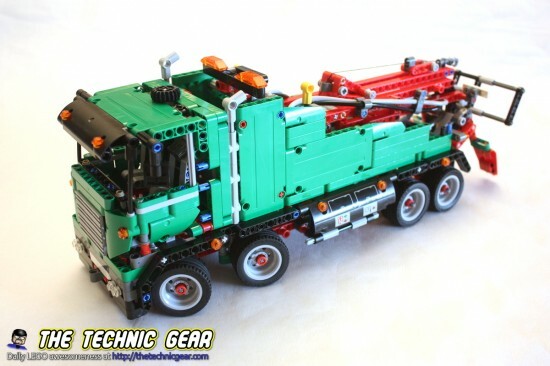 Does LEGO 42008 worth the money? Definitively. Go, get one at Amazon and save around 20% off the price at LEGO Shop.